Rose Balston, Founding Director of top-end boutique cultural tours company Art History UK gives her thoughts on Art Dubai 2016. Art Dubai celebrates its tenth edition this year. Featuring a broad and exciting sweep of artists from Manila to Algiers, this year’s fair continues its cultural journey in celebrating modern and contemporary art from the MENASA region (Middle East, North Africa, South Asia). Having recently moved to Dubai from London I have been stunned at the artistic engagement of this city. Far removed from the ‘cultural desert’ I had so often heard about, this vibrant city is awash with established and emerging talent from the MENASA region, cutting edge art galleries, fairs and festivals. Art Week in March has been an engaging time, showcasing Art Dubai, the largest art fair in the region, the Sikka art festival in charming Bastakiya in Bur Dubai, new exhibitions throughout the vast spectrum of art galleries in the DIFC and Al Serkal, and an endless programme of talks, tours, films and performance art across the city. Art Dubai commissioned a survey at the end of Art Week 2015 to find that Art Dubai and Design Days Dubai brought in an astonishing $35 million to the Dubai economy. Maliheh Afna, Of Numbers, 1980. Ink on rice paper. 54x64 cm. Courtesy the estate of the artist and Lawrie Shabibi. Constantly pushing new boundaries and exploring new regions, the fair this year has dedicated a whole section (known as Marker, a not-for-profit curated section to the fair) to the art of the Philippines – incredibly the first showcase of Filipino art at any art fair. Bearing in mind Dubai is home to almost 1 million Filipino expatriates, the time is ripe. The exhibition features a major installation by Robert Chabet (1937 – 2013) the leading artist of Filipino conceptual art and founding director of the Cultural Centre of the Philippines Museum. Curated by Ringo Bunoan and influenced by Chabet’s inspirational role, Bunoan has gathered together four artist-run spaces from Manila to exhibit an exciting display of works by emerging Filipino artists. 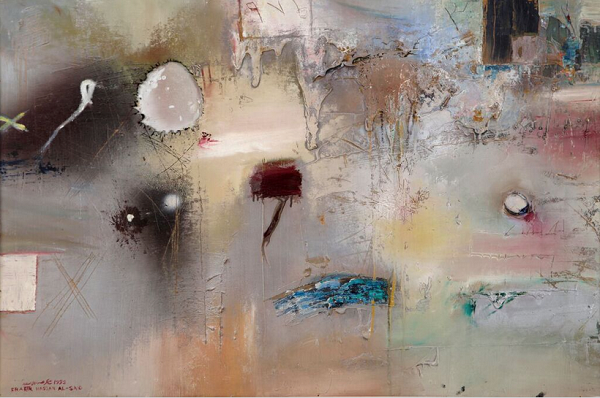 You will also find Maria Tanaguchi’s powerful and fully absorbing wall paintings in gallery Silverlens. Chaouki Chamoun, Riverbed 4, acrylic on canvas, 280x70 cm, 1975. Courtesy of Art Space. 40% of artists exhibited are women. The vibrant and energetic Mounirah Mosly, exhibited at Jeddah’s Hafez Gallery, challenges pre-conceptions of Saudi Arabian women with her bold and nostalgic paintings. The late Maliheh Afnan’s beautiful contemplative works at Lawrie Shabibi are bound up in ancient looking scripts and evoke antiquity and archaeology of the Middle East. 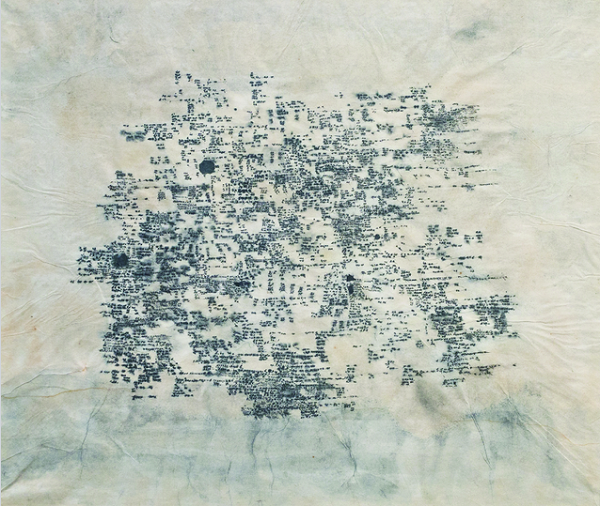 Galerie Janine Rubiez exhibits celebrated Lebanese artists Huguette Caland and Laure Ghorayeb (perhaps better known as a writer and critic). Shakir Hassan Al Said, Untitled, 1992. Mixed media on wood, 80x126 cm. Courtesy of Meem Art Gallery. Art Dubai Modern, launched in 2014, is the only curated programme of its kind in the world devoted specifically to modern art from the MENASA region. Works from the 1930s to 2000 will be on display by pioneering modern masters who influenced contemporary art of the region. As well as being a fascinating insight into pioneering artists of the 20th century, Art Dubai Modern allows a greater depth of understanding for the contemporary section of the fair. For me, the highlights were Samia Halaby’s work at Ayyam Gallery, Chaouki Chamoun’s vast and mesmeric canvases at Art Space, Shakir Hassan al Sayed’s calligraphic works at Meem and the renowned Egyptian sculptor, Adam Henein’s beautiful ‘Brancusi-esque’ sculptures at Karim Francis Gallery. 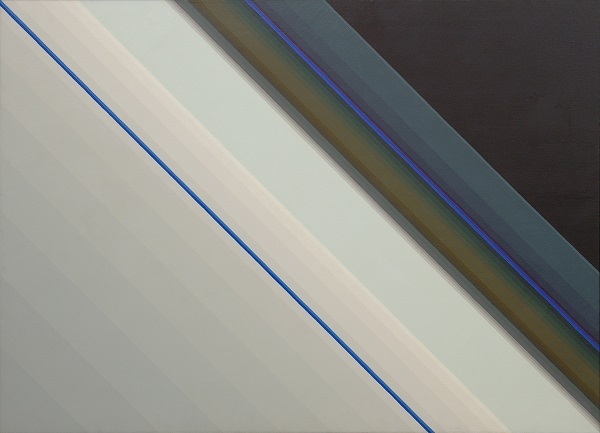 Samia Halaby, Snow, 1975, Oil on linen canvas, 122x168 cm. Courtesy of the artist and Ayyam Gallery. There is much to see at Art Dubai 2016, and within the rest of the city. This amazingly ambitious - and often artistically underestimated - city gives the world a focus that is beyond shopping malls, beaches and the Burj Khalifa. In only a very short couple of decades, it is proving itself to be a cultural centre worthy of visitors from across the world and Art Dubai is paving the way.